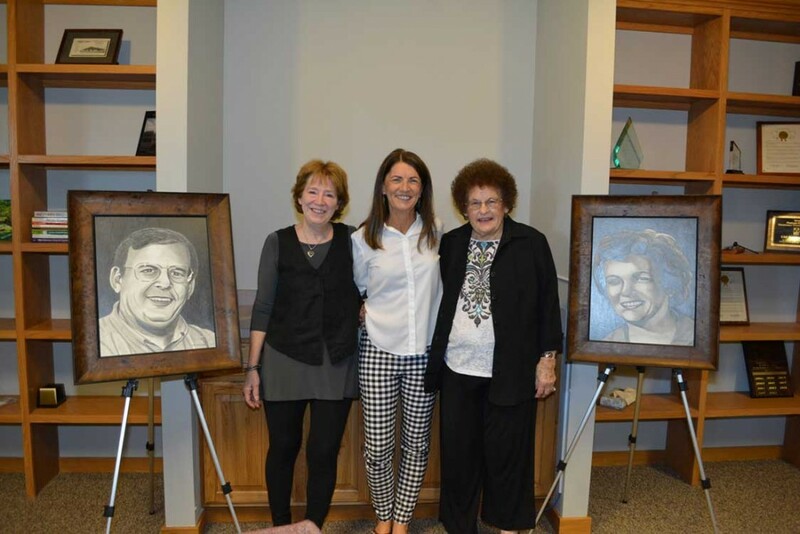 Open House honors CAP leaders – CAP Services Inc.
From left, Bonnie Brown Pnazek, Deb Wolding and Grace Lensmire stand next to Wolding’s pencil portraits during CAP Services’ Open House at its new 2900 Hoover Road location in Stevens Point Tuesday, Aug. 22. The sketches portray Brown’s late husband Karl Pnazek who was CAP’s longest serving CEO, serving from 1976-2008; and Lensmire who was CAP’s first director, serving from 1966-1971. CAP has dedicated the conference rooms at its new location to these two notable leaders. For more information about CAP’s new location visit capservices.org/hoover.